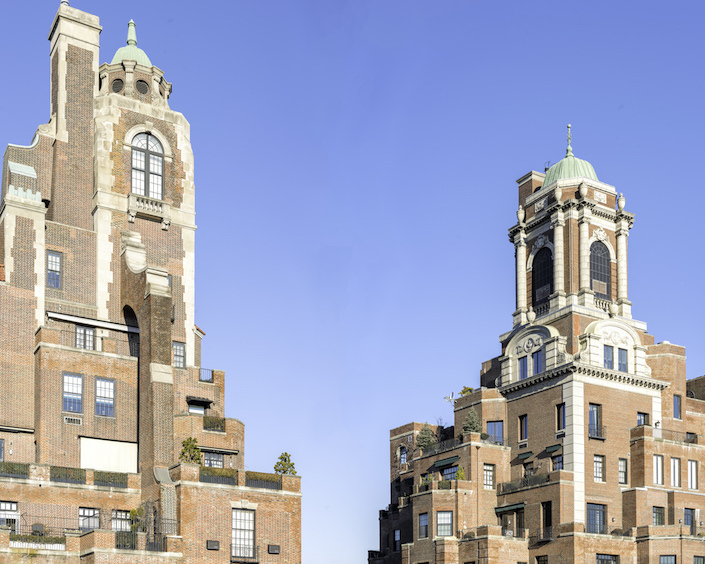 In early 20th century New York City, as many affluent residents were gradually abandoning their mansions and townhouses for apartments, few created the allure of luxury high rise living as did architect Rosario Candela. In the stylish interwar era, Candela played a major role in transforming the skyline and key neighborhoods of NYC such as Park and Fifth Avenues as well as Sutton Place. 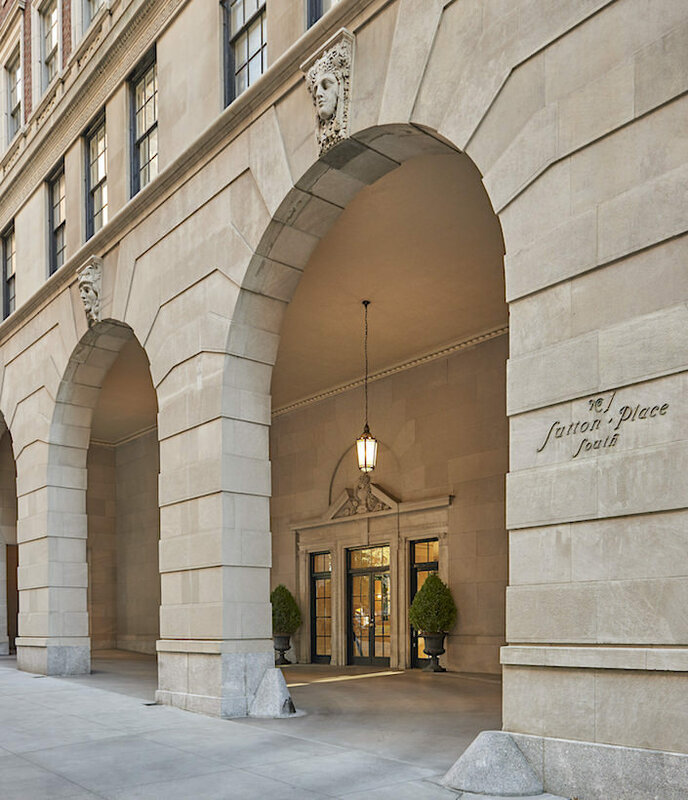 His now legendary first building at this east side enclave, One Sutton Place, below, for example, includes a generous porte cochère and understated articulation and ornamentation, including the elegant address. but of the planning of apartments. 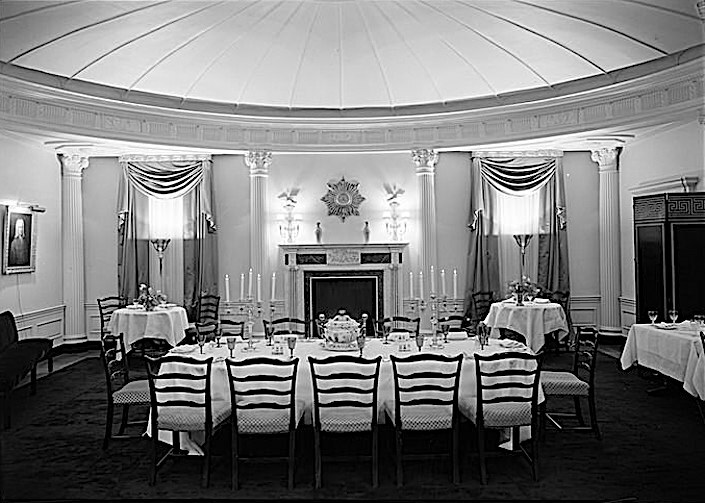 Complex floor plans yielded grand proportions (a dining room at 960 Fifth Avenue below) elegant enfilades, wider windows, thicker walls (where pipes and beams could be concealed) and many other amenities that made his buildings – then and now – some of the most covetable addresses in New York City. Candela utilized many strategies for creating apartments comfortable enough for those formerly living in mansions. 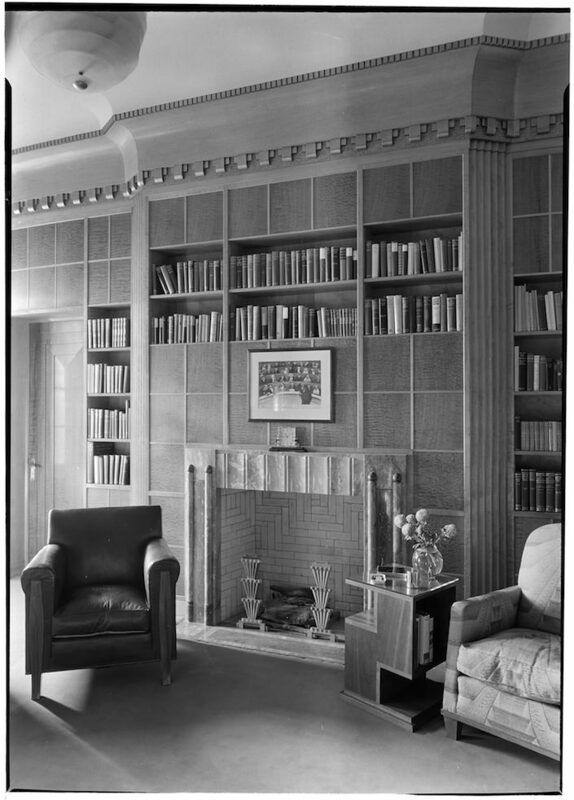 The library, below, for the duplex owned by Jesse Isidor Straus (co-owner of Macy’s and American ambassador to France) at 720 Park was almost a thousand square feet alone with incredible architectural detailing. 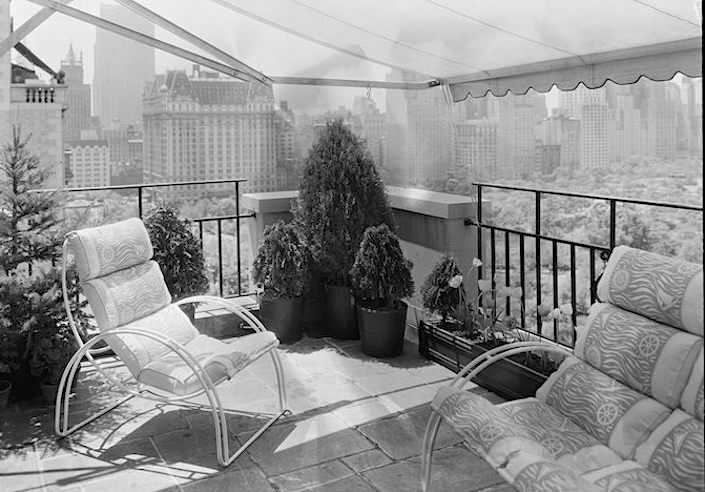 and spacious terrace with magnificent views overlooking Central Park. 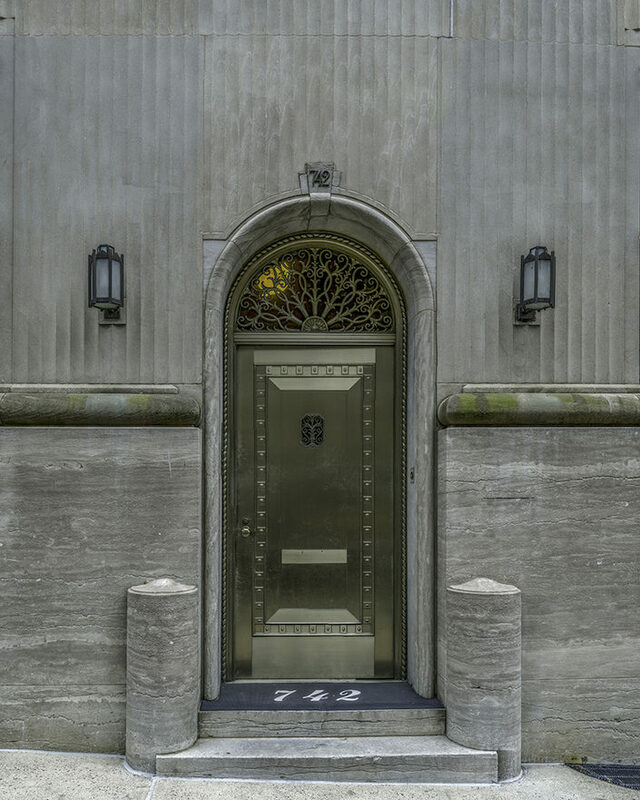 At 856 Fifth Avenue, Candela incorporated nine single floor apartments, each with 14 rooms, two duplex maisonettes and a penthouse duplex with 18 rooms and eight baths! 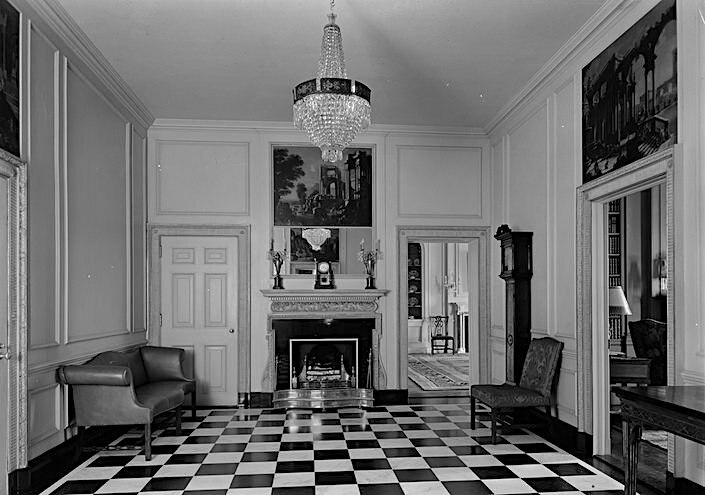 Below, the 1930 hall entrance of Thomas Cochrane’s apartment at the prestigious address. This exhibit is the confluence of many stories befitting the Museum of the City of New York which is always looking for a great NY narrative. Candela, an Italian immigrant with only a basic knowledge of English, managed to graduate with an architecture degree from Columbia. Through Italian American connections in our great melting pot, he started working with developers and contractors who helped him rise through the ranks. 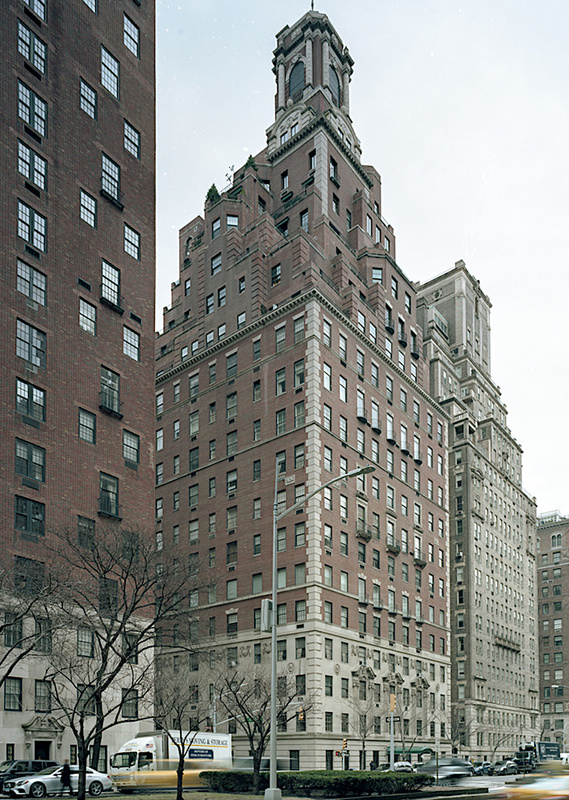 During the 1920’s, Candela designed (or co-designed) over 75 apartment buildings, including 778 Park Avenue, below, which are still in high demand today. However, once the crash hit, the work dried up and he turned to his other puzzle solving love, cryptography, writing two books on the subject (one of the books is in the show), teaching a class at Hunter and working for the government during WWII (perhaps the OSS). Dying in relative obscurity in 1953, Candela was rediscovered in the 70s and 80s by architectural critic and author Paul Goldberger who gave him his due. Curator Donald Albrecht oversees many architecture and design shows and noticed the name Candela on billboards and in real estate ads, touting his iconic floor plans etc. Happily, the museum had many photographs of his work in their collection. Albrecht then recruited Pennoyer, a past collaborator and Candela enthusiast, who not only had been studying the fabled architect’s plans since 8th grade but has also worked on many of his apartments in his practice. Together they crafted this gem of a show presented with wit and a bit of whimsy. 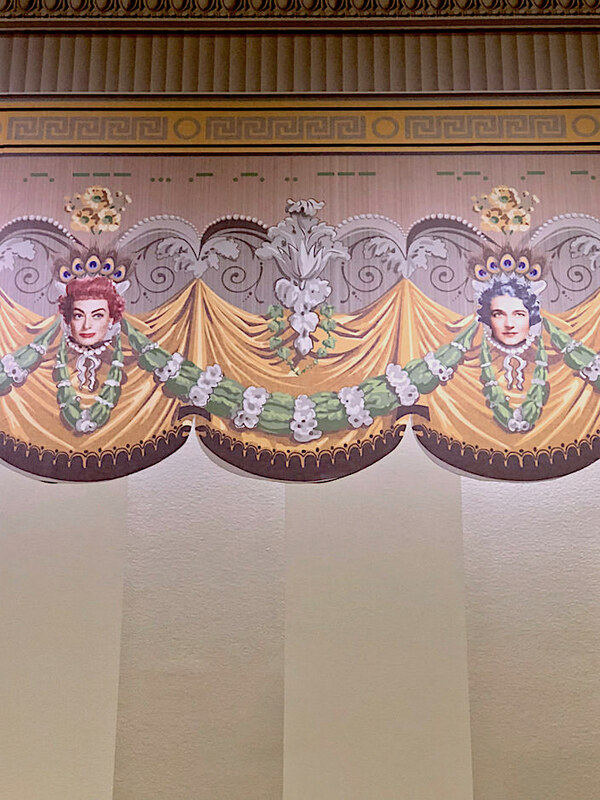 Above, a decorative wallpaper border custom designed by James Boyd, that suggests the kind of frieze that might have been used by Sister Parish, a frequent interior designer of Candela apartments. The border also features some of the characters in this world – Joan Crawford and Sister Parish (both of whom lived in Candela apartments), Dorothy Draper, who got her start in the 20s designing lobbies and communal dining rooms in Candela apartments and Anthony Campagna, a developer associate. The architectural elements and cornice are taken from Candela buildings and the final detail is the incorporation of morse code into the border, referencing Candela’s cryptography skills. A must for any architecture aficionado, the exhibit “Elegance in the Sky: The Architecture of Rosario Candela” is open through October 28th. This entry posted in architecture, interior design, learning. 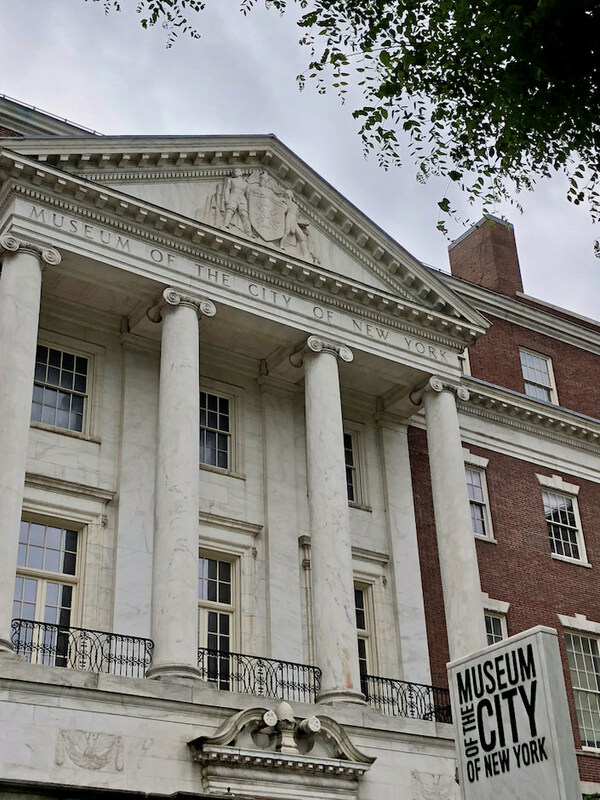 Entry Tags: Architecture, history, interior design, Museum Of The City Of New York, NYC museum shows, Peter Pennoyer, Rosario Candela Bookmark the permalink. Stacey, I hadn’t heard about this exhibition, so thank you! I cannot wait to see it. A wonderful suggestion to see this exhibit. I am not aware of this museum. Thanks for the posting…hope I get to NYC before it ends. This is such a great write up! I didn’t realize they had this exhibit on. Perfect for this raining day, I’ll go check it out! A staggering amount of work contributing to the NYC skyline. I’ve been in many of these buildings and was unaware of Candela’s contribution. What times those were in the world of architecture and design! Thank you for the reminder. 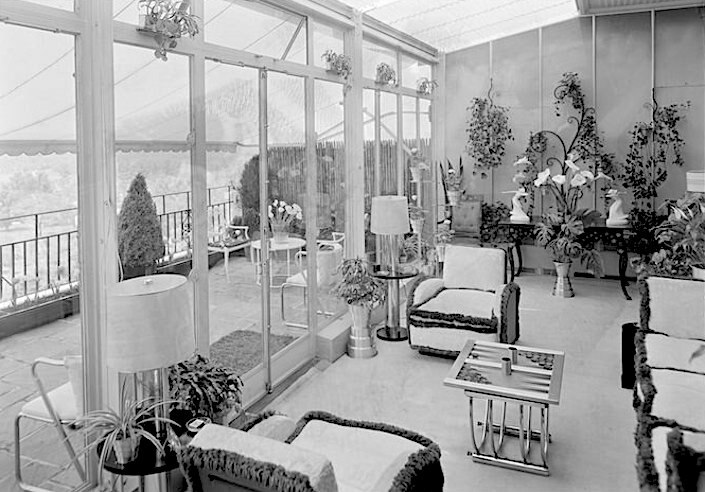 which also mentions the very good “The New York Apartment Houses of Rosario Candela and James Carpenter” by Andrew Alpern (published in 2002), very good for anyone who wants see more of, and learn more about, these amazing buildings and apartments. 80 queries in 0.641 seconds.